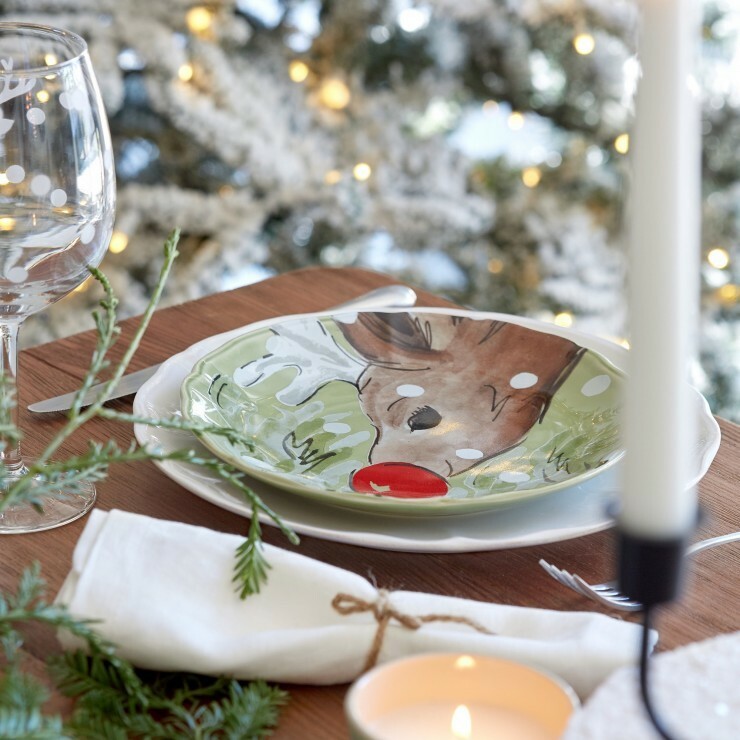 From the table to the tree, every family has a unique spin on holiday celebrations. 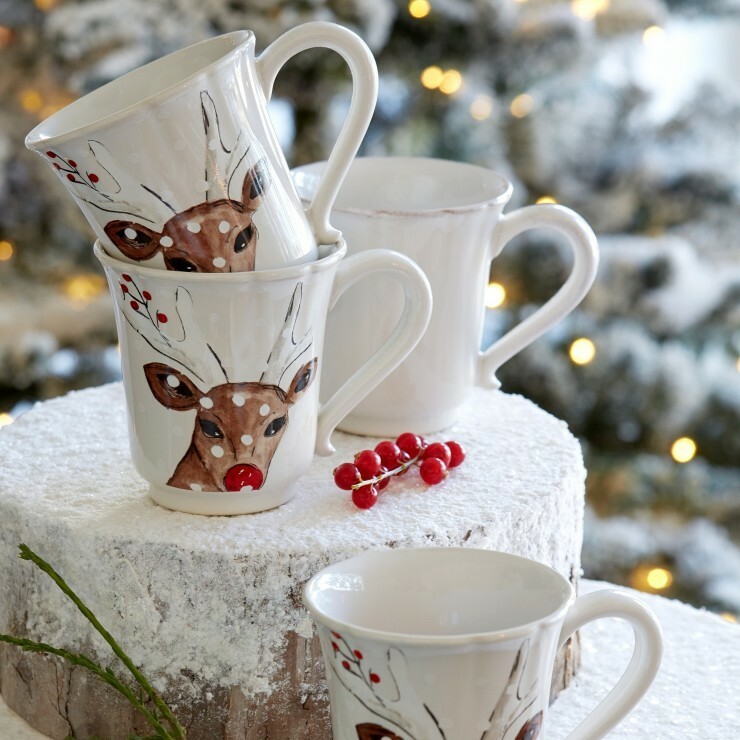 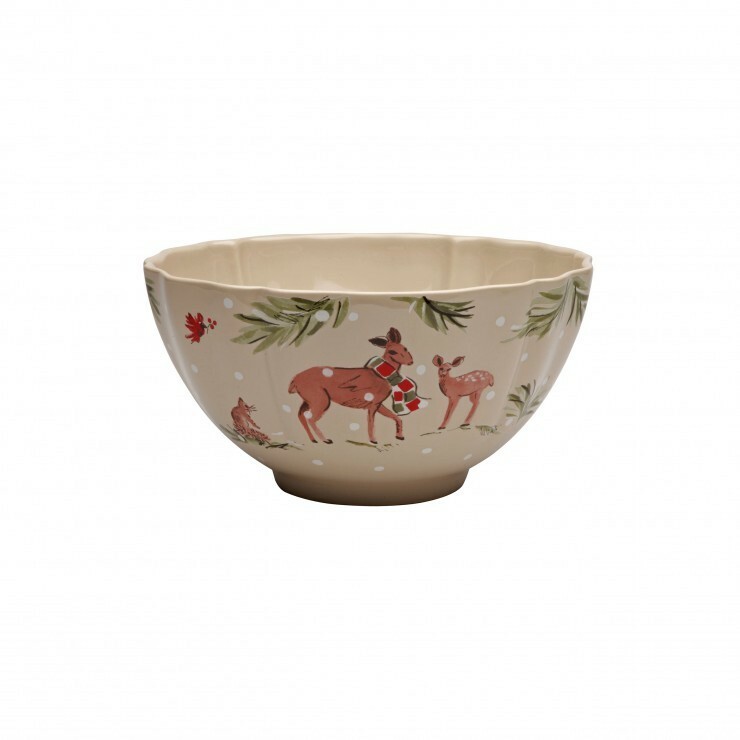 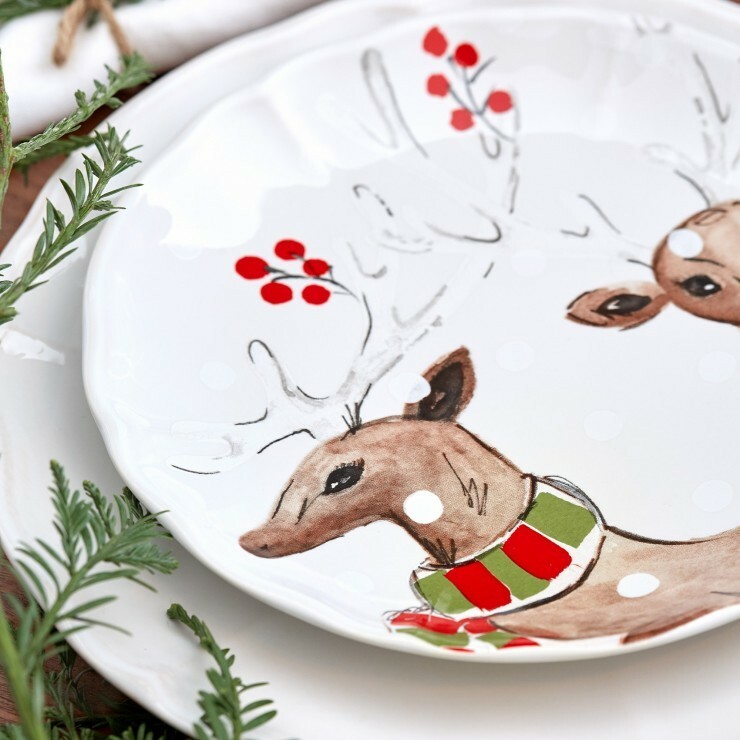 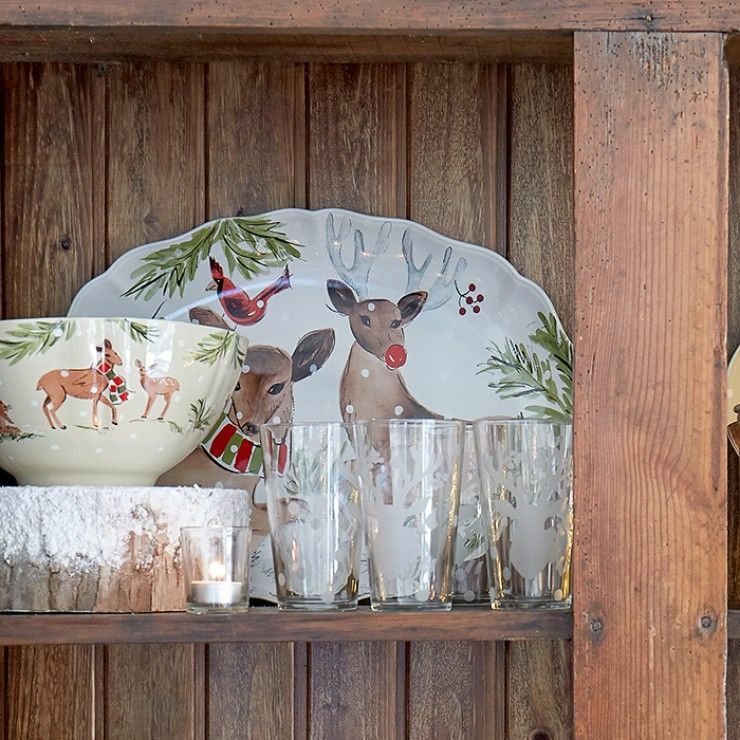 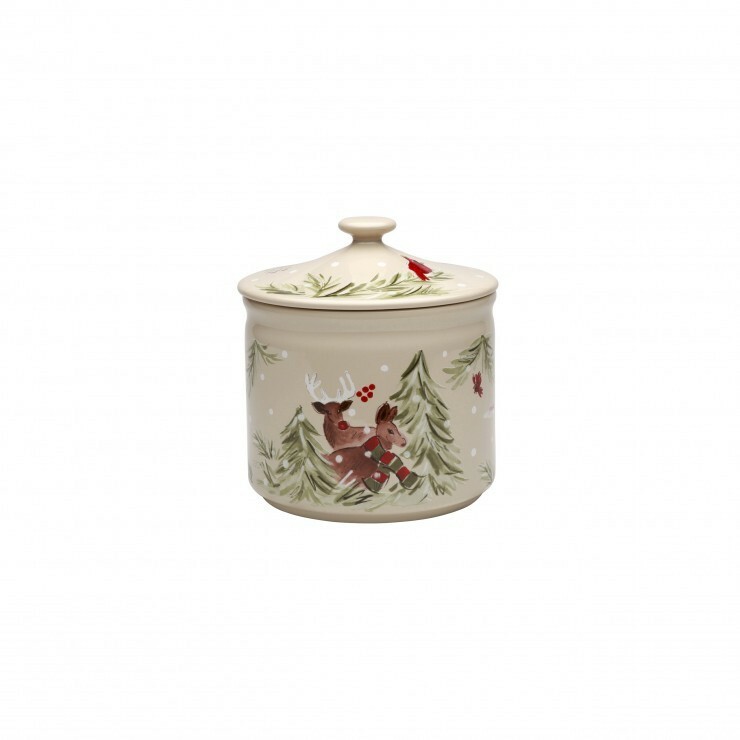 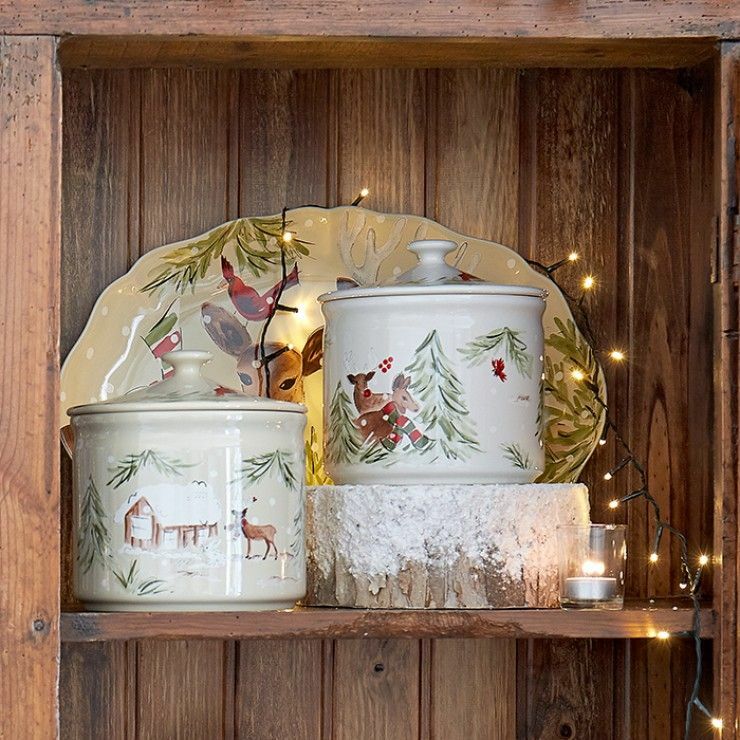 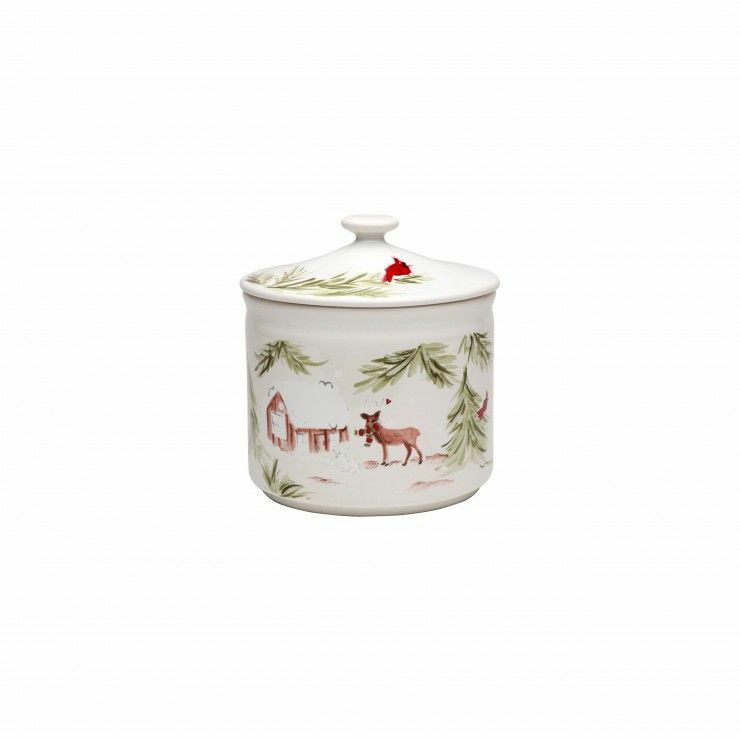 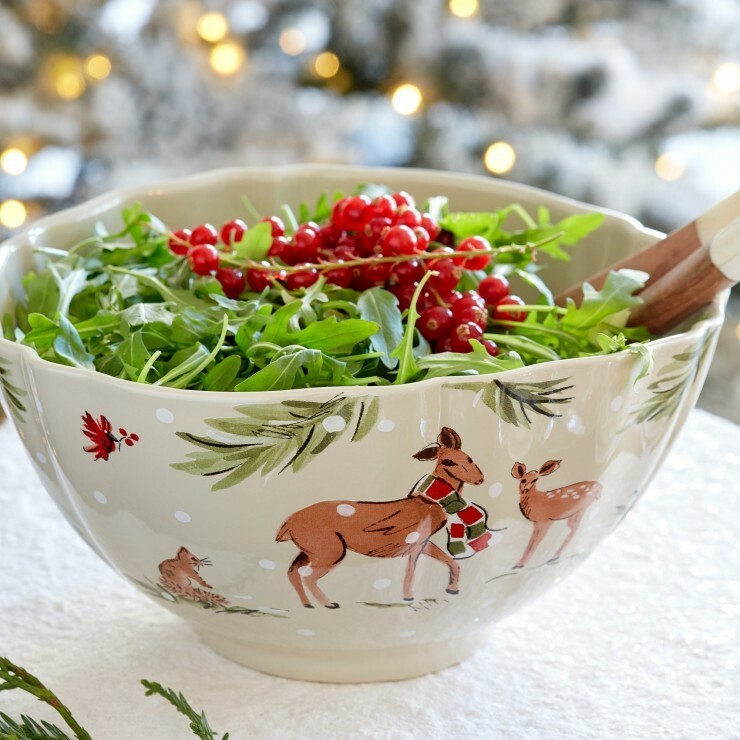 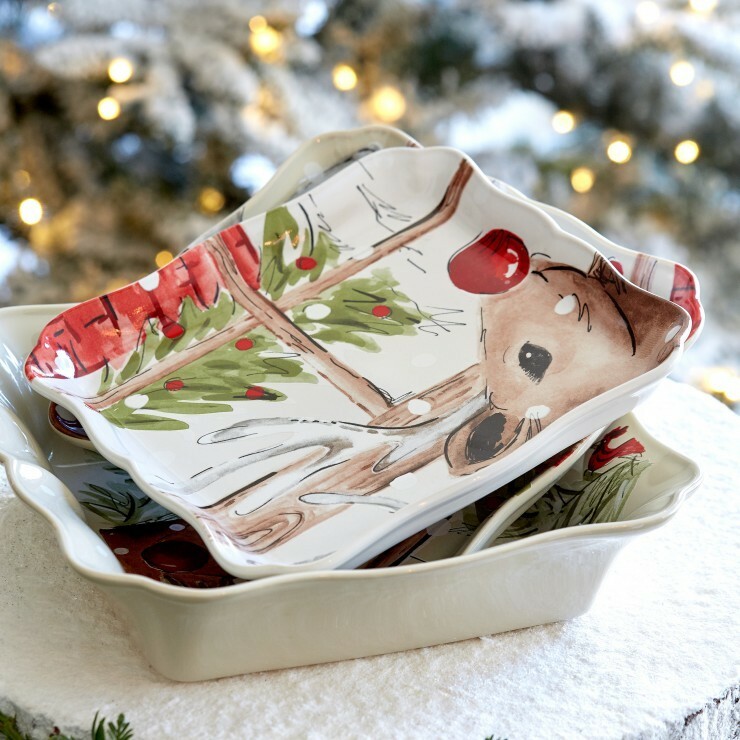 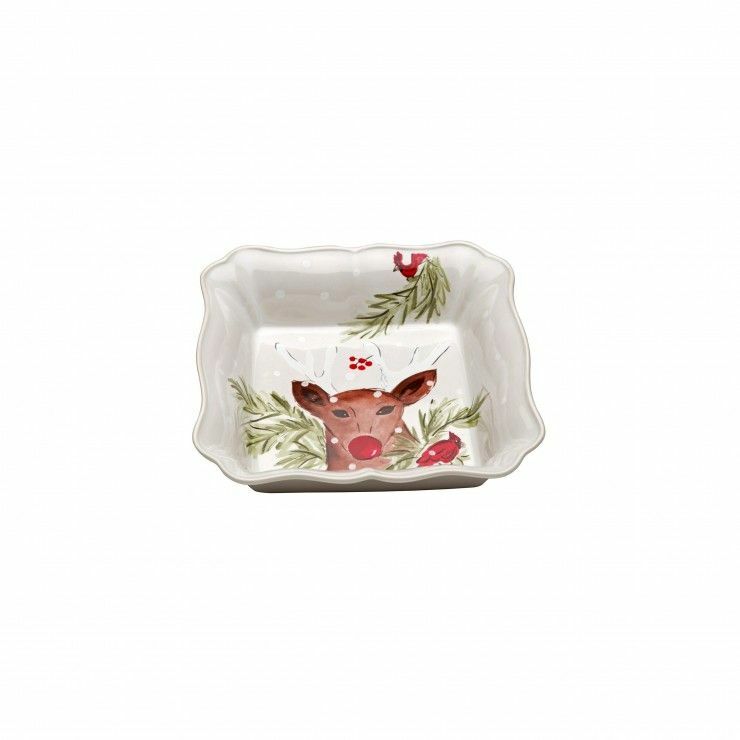 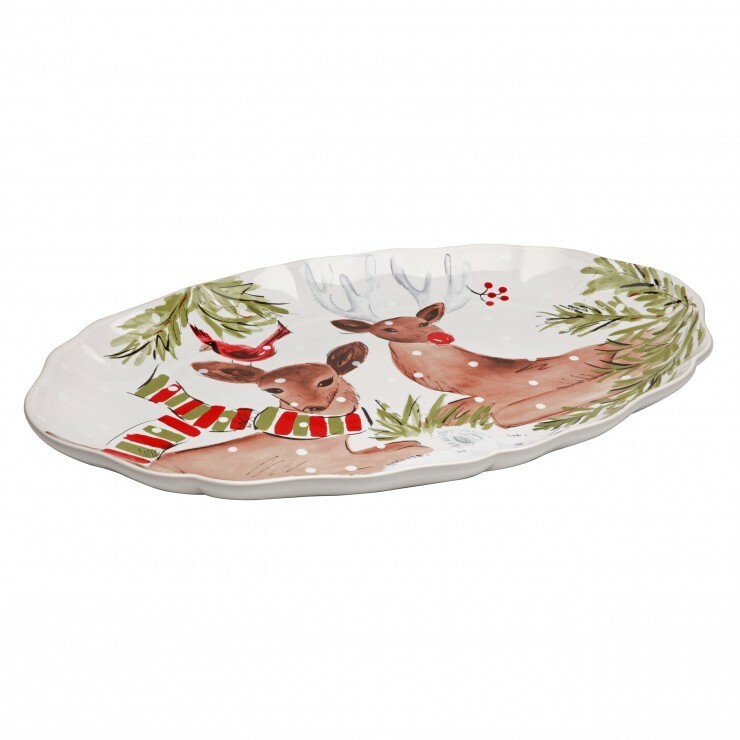 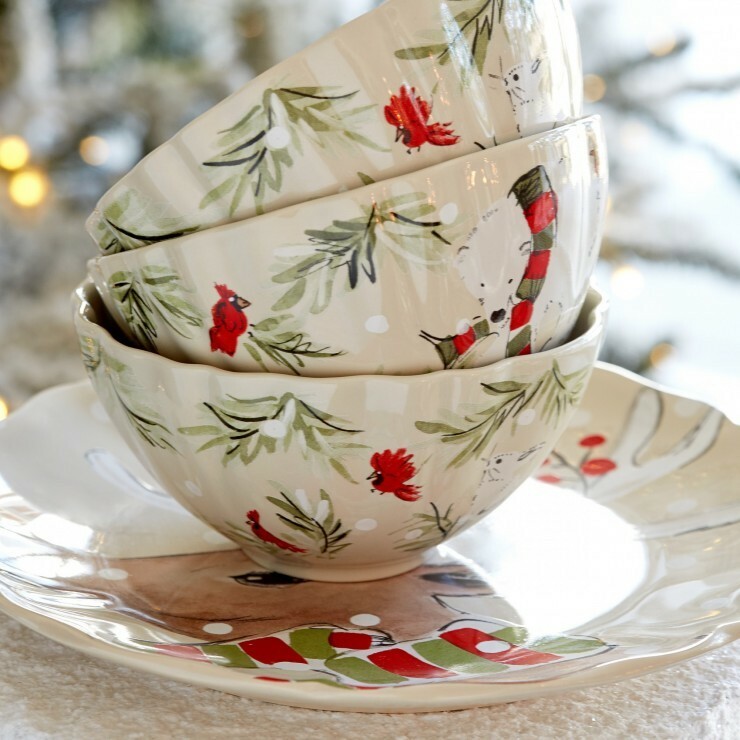 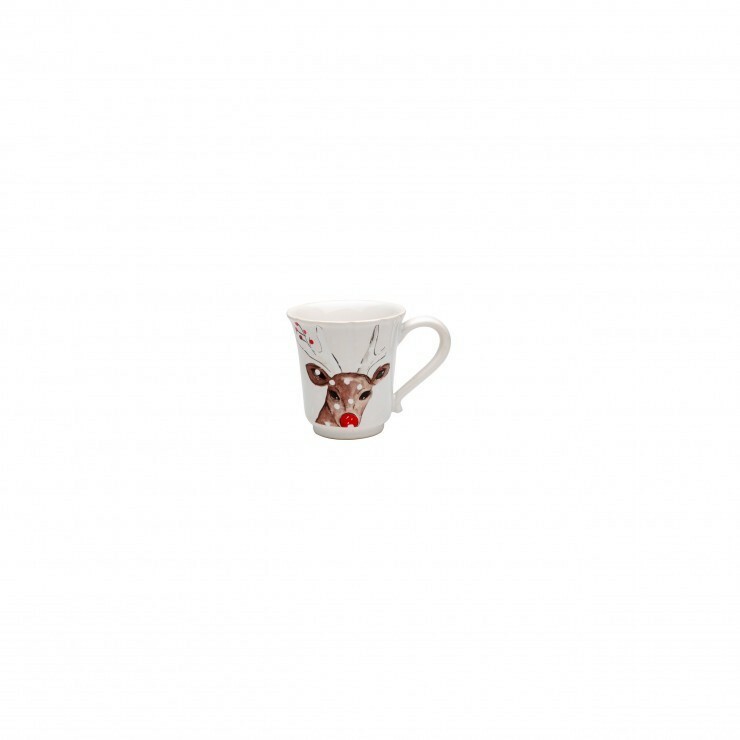 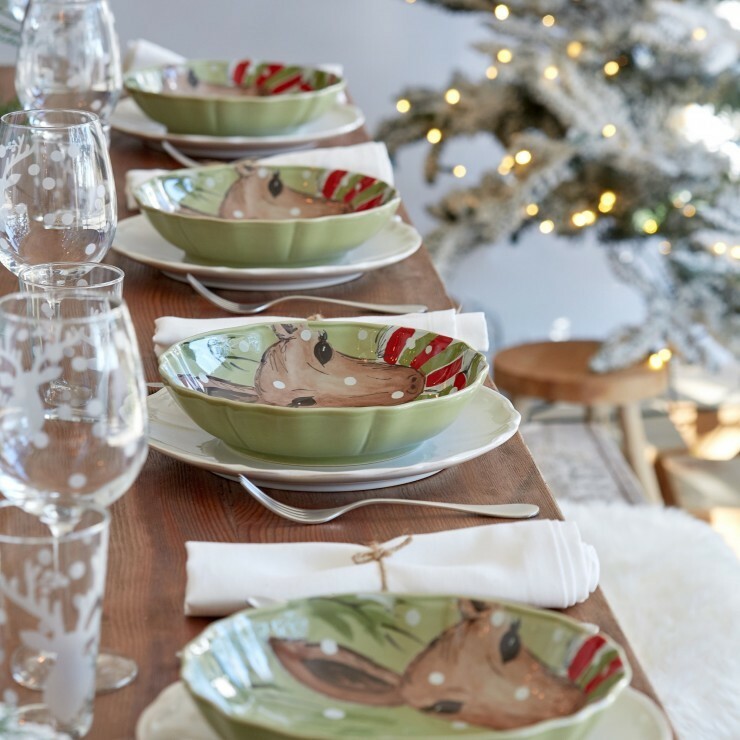 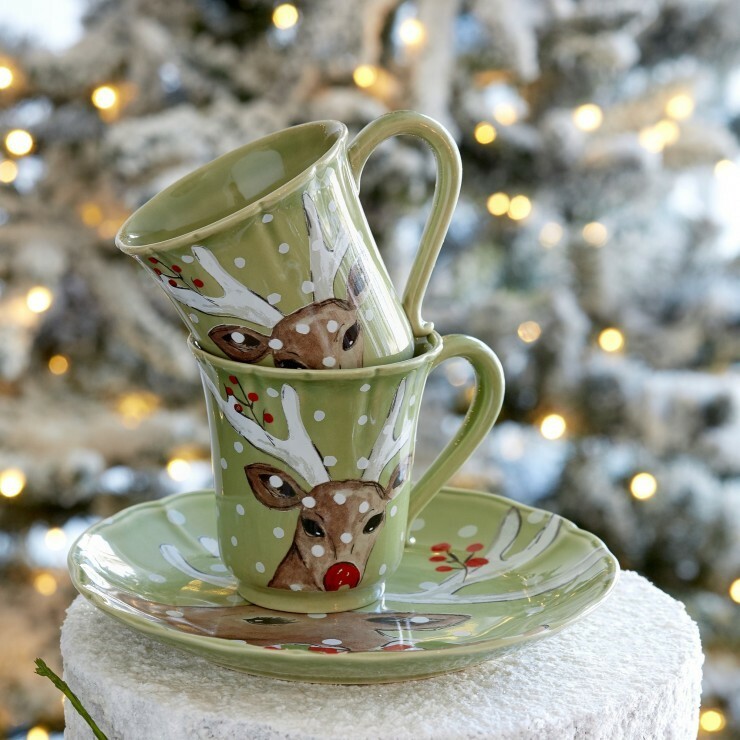 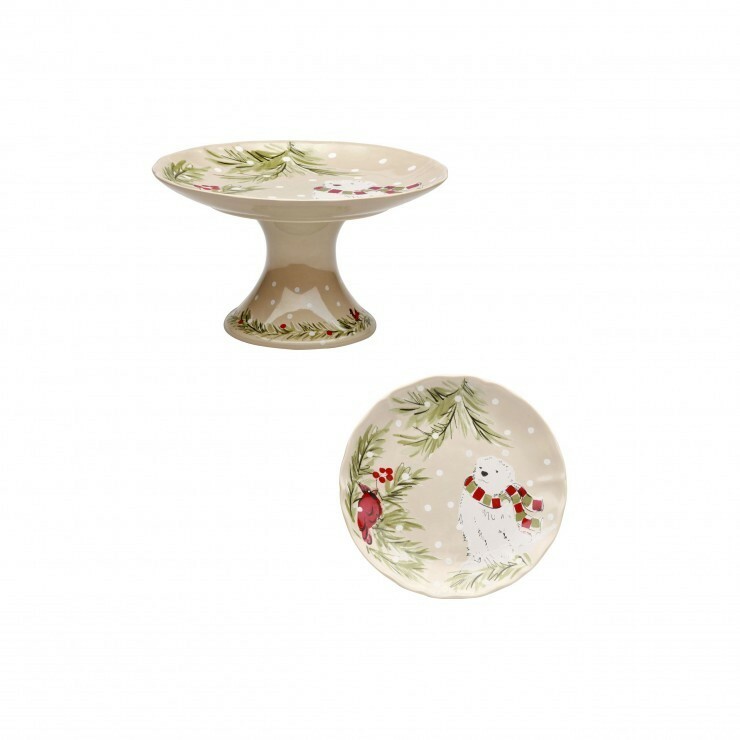 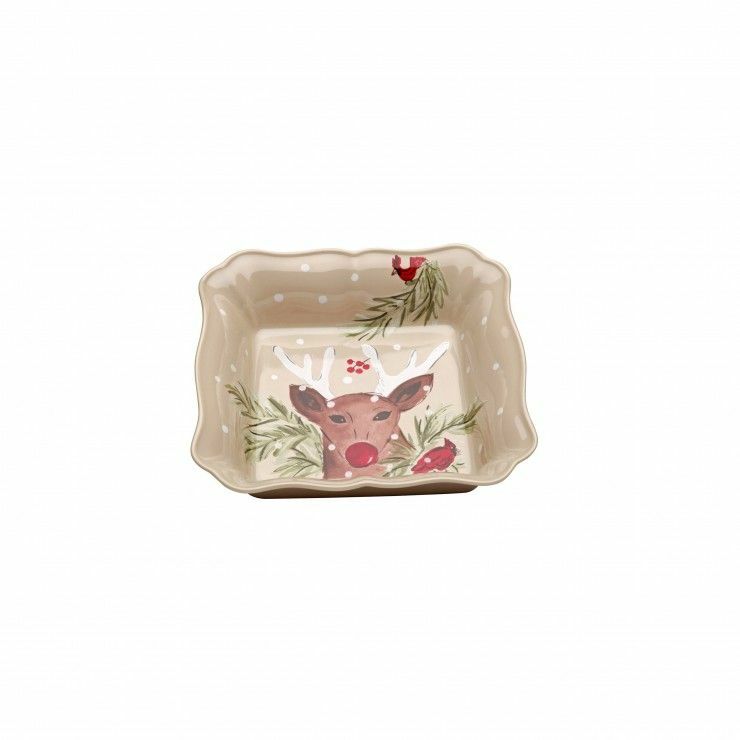 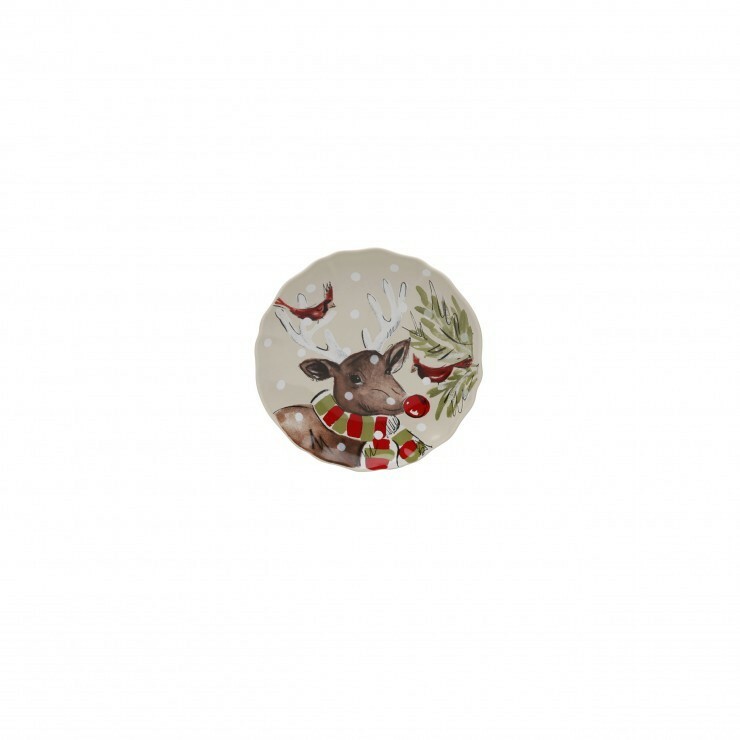 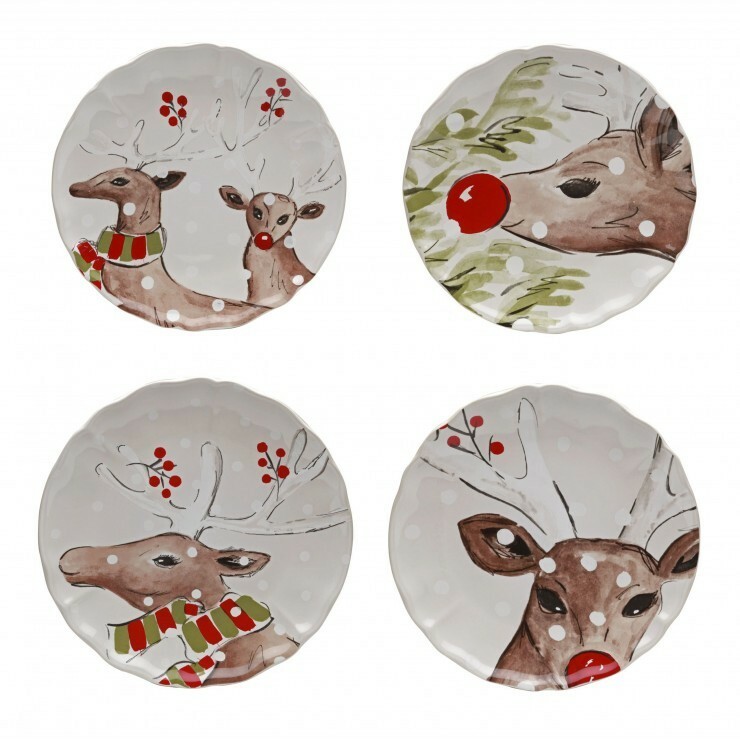 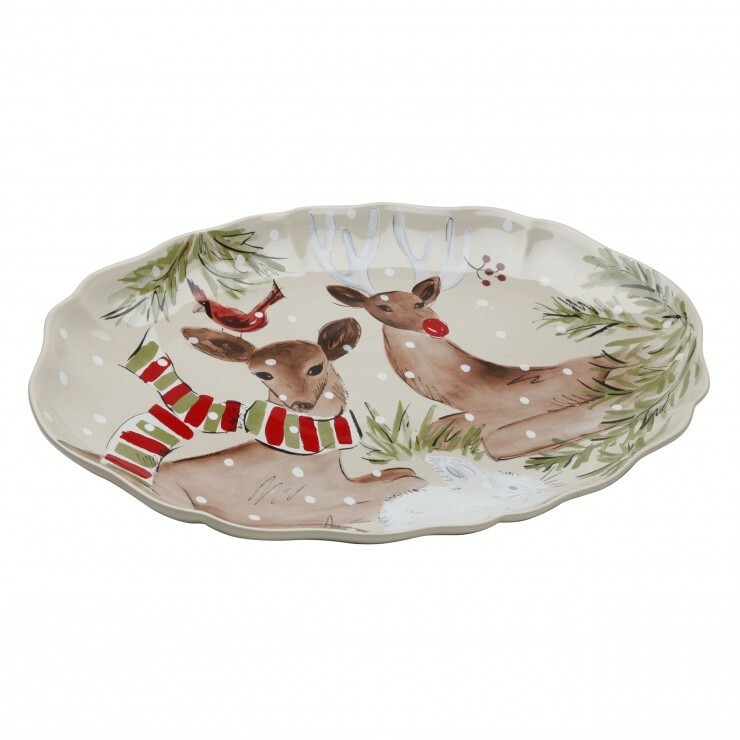 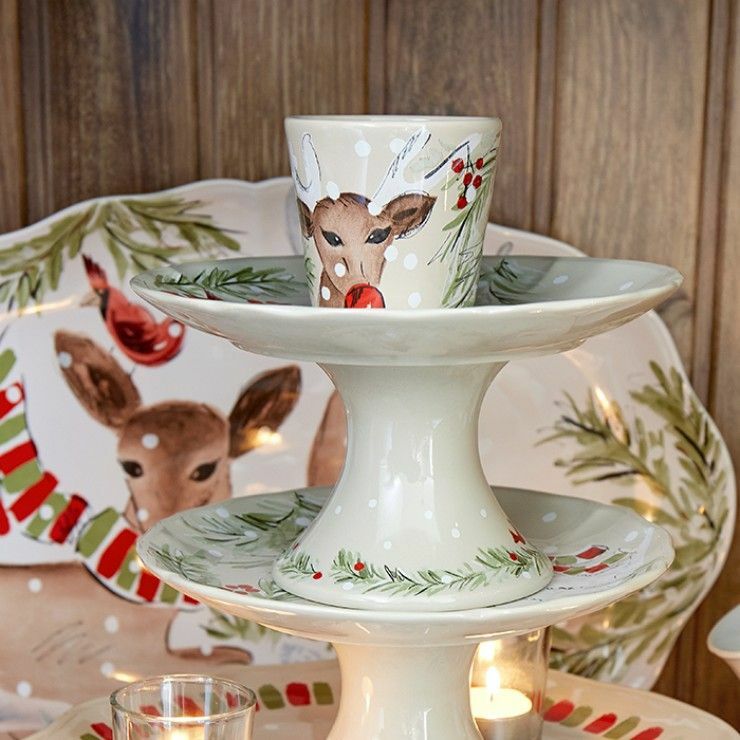 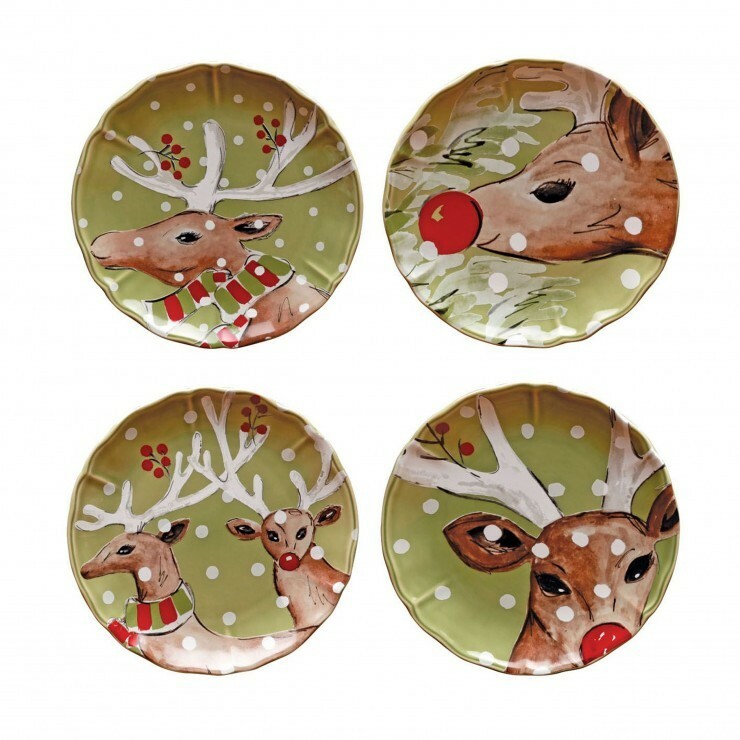 Make Deer Friends part of your family's table for winter entertaining with its charming holiday pattern. 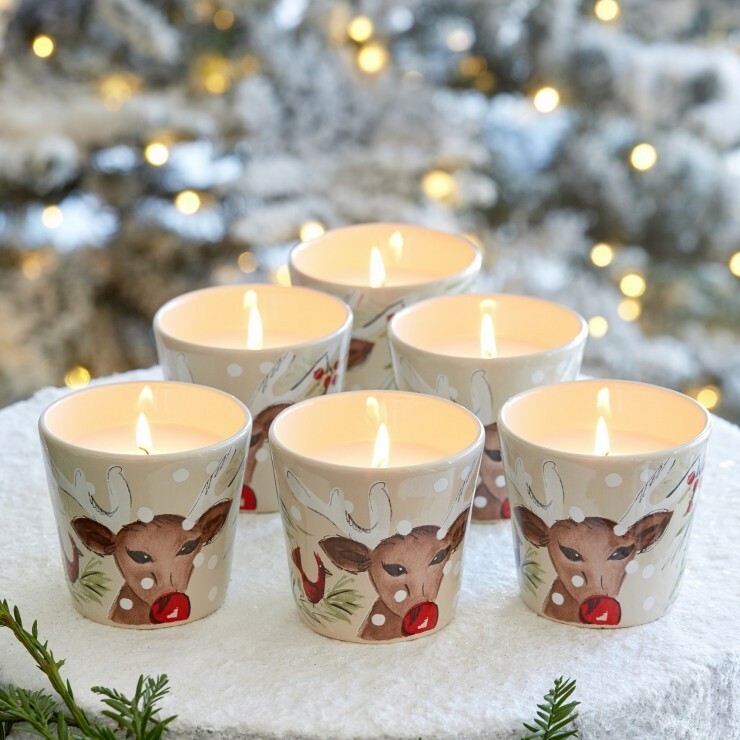 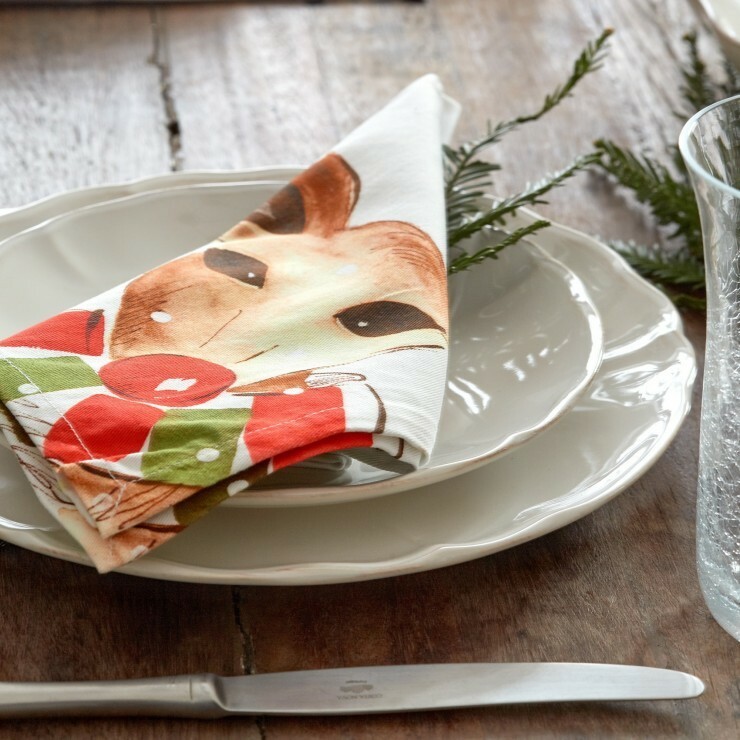 The collection also includes table linens (runner, placemat and napkins) as well as drinking glasses with the Deer Friends motif. 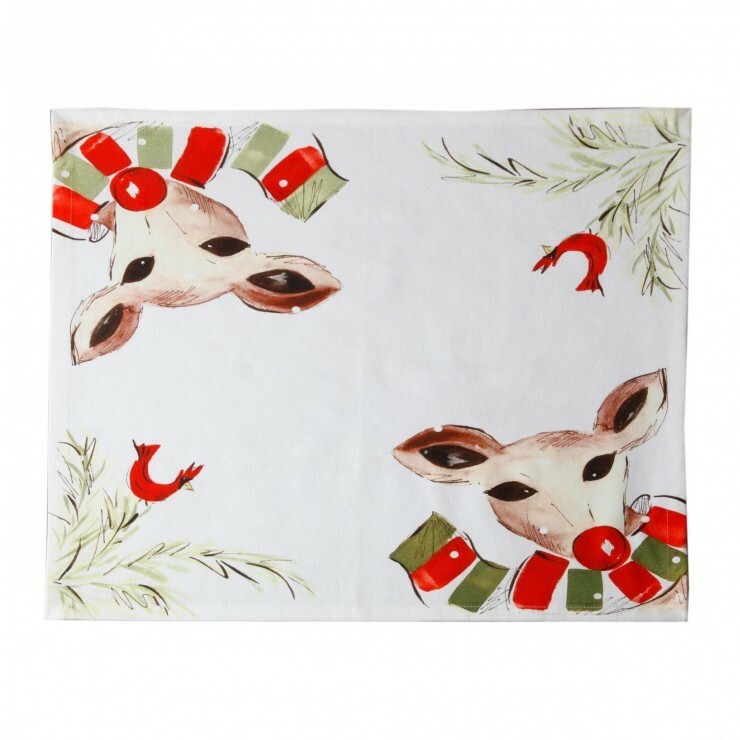 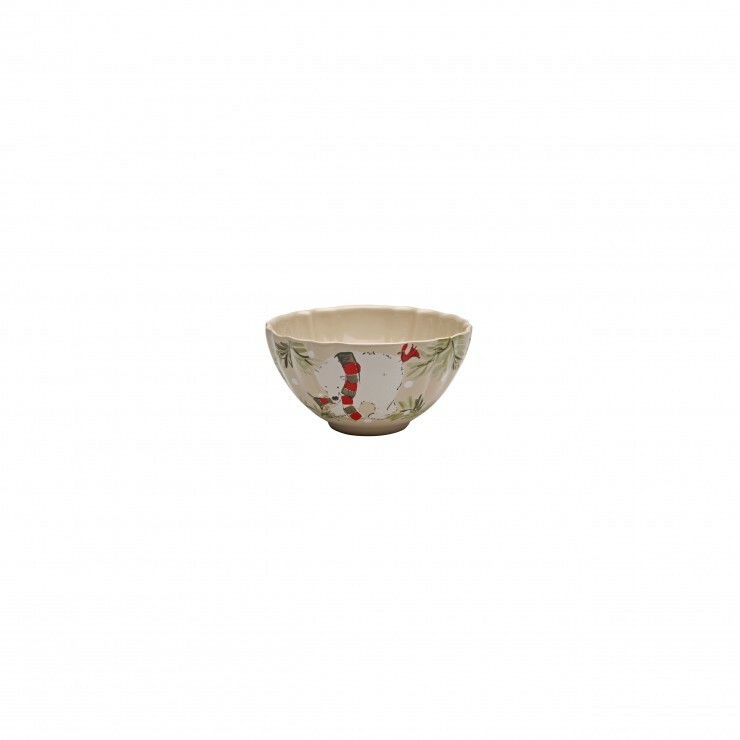 We have also selected many items to be available on a white-background in addition to the original linen or green background.